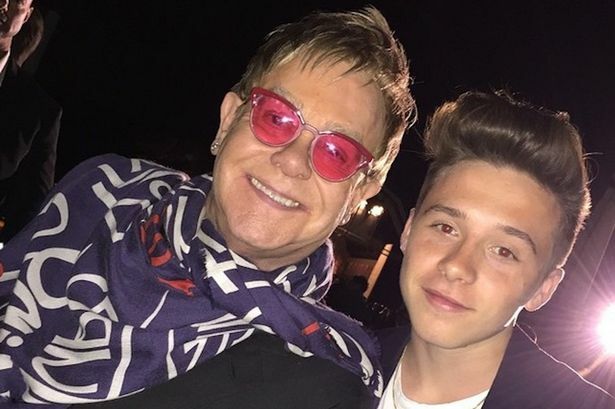 Brooklyn Beckham may well be the coolest 16-year-old in the world but even he can’t believe how lucky he is to have a godfather as off-the-scale as Elton John. The heir of David Beckham and Posh Spice hit one million Instagram followers this morning and has shared a pic of the man tasked with ensuring he sticks to the ways of the lord. Brooklyn posted the pic to his Instagram account of the pair at a Burberry fashion event. The lad was wearing a simple white top and jacket with his hair in an impressive quiff. The Rocket Man however was in a slightly less conservative garb of pink tinted sunglasses and a patterned shawl. What we like about Brookers is he’s gone old school and actually asked somebody else to take the pictures instead of posing for a ham-fisted selfie. The someone-elsie. Keep up the good work with that – we can see catching on. Brooklyn also grabbed a shot with Kevin Systrom who’s certainly no stranger to Instagram since he invented it. 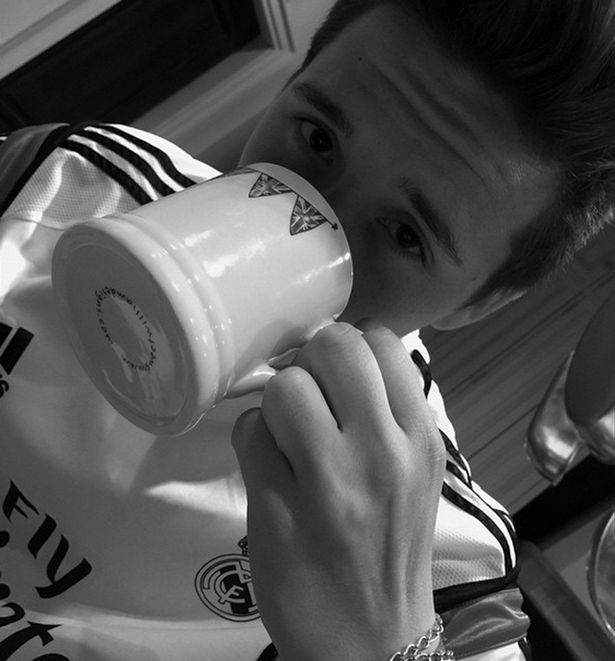 While he hangs out with some of the coolest names in showbiz but Brooklyn has revealed that there’s nothing like a having good cup of tea before bed.